Selective actuation switch (sequential or bump) for convenience. Fast shooting rate of 3 nails per second. Coil siding and fencing mailer with tool-free adjustable exhaust. Durable, lightweight (4.9 lbs.) aluminum housing. Smooth rubber foot aids in preventing damage to work surface. Tool-free adjustable rafter hook for convenience. Drives wire weld and plastic inserted coil nails. Tool-free depth of adjustment for precise setting of fasteners. Magazine holds up to 300 nails. Operating pressure 70-120 psi. Includes manual. 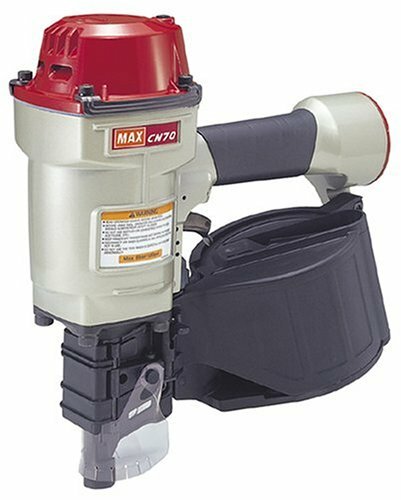 The Max CN70 is very durable and its fastening speed is extremely fast. The CN70 has been loved in industrial application for decades. 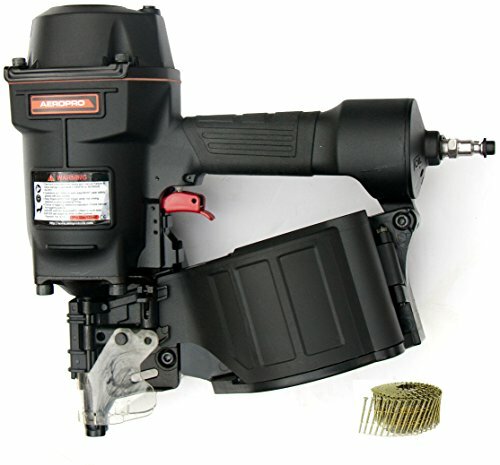 CN70 SuperHeavy-Duty Industrial Coil Nailer - Extra heavy-duty: Die cast aluminum construction. Rugged magazine. 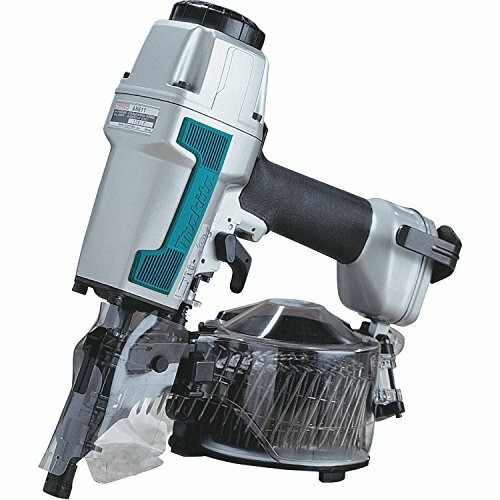 Drives 225-300 nails continuously by full-loading. Multi-directional exhaust. Comfortable rubber grip. Equipped with dust cover and body protector. Use for: Making and repairing pallets, Crating, Fencing, Siding, decking and sheathing. MODEL CN70. FIRING METHOD Contact trip (Sequential trip: Available by option). WEIGHT 7.6 lbs. (3.5 kg). DIMENSIONS 12-7/16"(H) x 5"(W) x 12-1/16"(L) (315 x 128 x 306mm). LOAD CAPACITY 225 - 300 nails. OPERATING PRESSURE 70-100 psi (5-7 kg/cm2) (Regulator). AIR CONSUMPTION 0.053ft3 (1.5lit)/cycle at 90 psi (6 kg/cm2). Use with: Drives from 1-3/4" x .092" up to 2-3/4" x .113" (45mm x 2.3mm - 70mm x 2.9mm) 15 flat wire welded nails. Warranty: One-year limited warranty from the date of purchase. 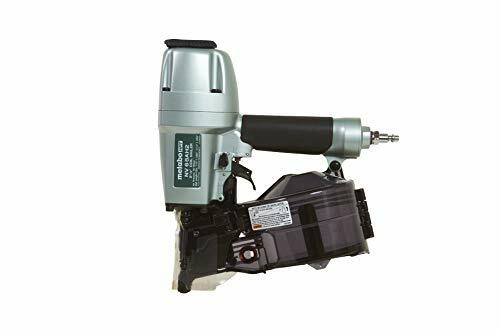 The Hitachi NV65AH2 2-1/2" coil siding nailer brings power, precision and convenience to the jobsite and weighs only 4.8 lbs. 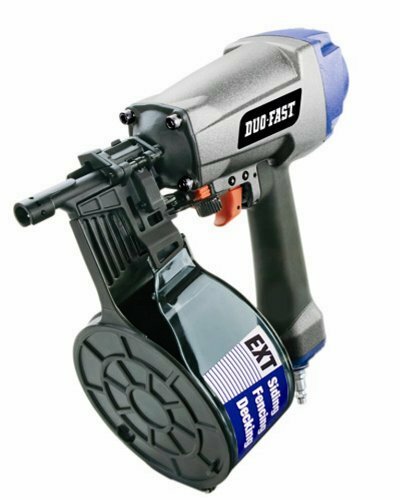 Capable of driving nails as large as 2-1/2" x .099" at a rate of 3 per second, the NV65AH2 is both powerful and efficient. 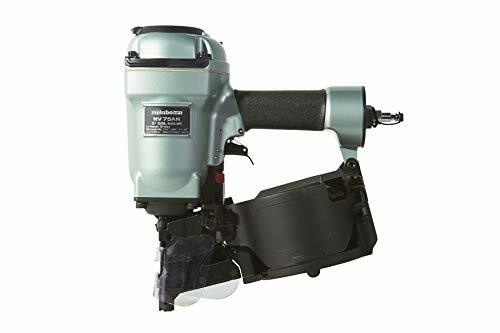 With newly added features like a selective actuation switch, side load, tilt bottom magazine and repositioned depth of drive adjustment dial, the professional preferred siding nailer gets even better. Additional features such as the adjustable air deflector, no mar nose cap and plastic shield add convenience and the ability to use both wire or plastic sheet nails creates flexibility. Standard accessories include Safety Glasses (875769), Hex Bar Wrench 3mm (943277), Hex Bar Wrench 4mm (944458), and Hex Bar Wrench 5mm (944459). Collation - Wire/Plastic, Nail Length 1-1/2" - 2-1/2", Nail Diameter .090 - .099, Nail Capacity 200 - 300, Nail Loading - Side, Operating Pressure PSI 70 - 120. 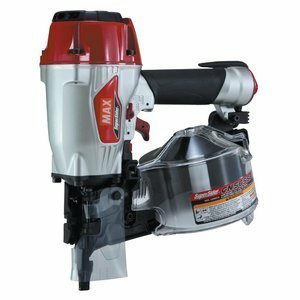 The NV75AN coil siding/framing nailer brings power, precision and convenience to the jobsite. 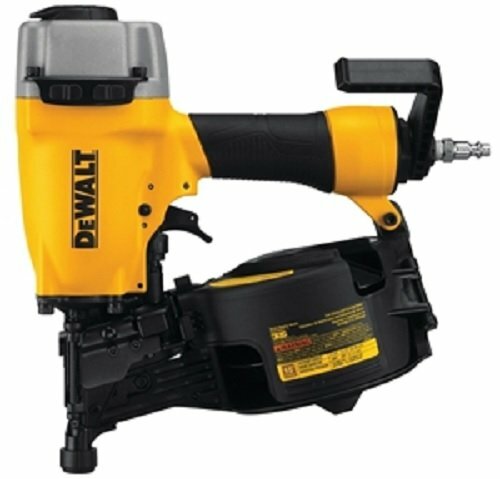 Capable of driving nails as large as 3" x .131" at a rate of 3 per second, the NV75AN is both powerful and efficient. The side load magazine and open nose design offer convenience, while the plastic shield offers safety, deflecting wire collation away from the user. It comes standard with a contact (bump) trigger installed on the tool and an optional sequential trigger in the box. Nail Length: Plastic Collated -1-3/4" - 2-1/4", Wire Collated - 1-3/4" - 3"; Nail Diameter: .099" - .131"; Collation Angle: 16 Degrees plus or minus 1; Operating Pressure: 70-120 PSI; Dimensions: (LxWxH) 11" x 5.2" x 12.4"; Weight: 6.3 lbs; Warranty: 5-Years. Optional 9,000-Pack Fasteners: 12234 1-3/4" x .092 SC BLUNT CHISEL, 12200 2" x .099, 12201 2" x .099 RG, 12205 2" x .099 SC BLUNT CHISEL, 12209 2" x .099 SC BLUNT DIAMOND, 12206 2-1/4" x .099 SC BLUNT CHISEL, 12210 2-1/4" x .099 SC BLUNT DIAMOND, 12210D 2-1/4" x .099 SC DIAMOND POINT, 12219 2-3/8" x .099 RG, 12218 2-1/2" x .099 SC BLUNT CHISEL, 12218B 2-1/2" x .099 SC BLUNT DIAMOND POINT, 12218S 2-1/2" x .099 SC DIAMOND POINT, 12223 2-3/4" x .099 SC BLUNT CHISEL, 12223D 2-3/4" x .099 SC DIAMOND POINT. 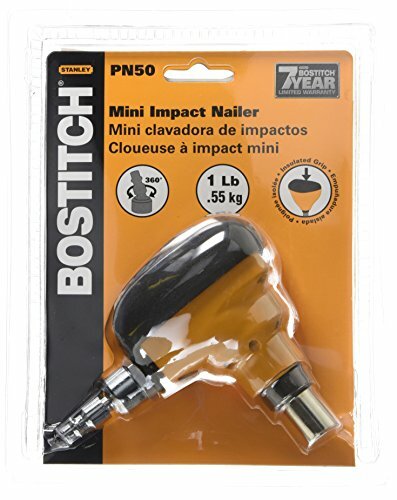 uses Nail sizes 1 1/2" to 2 1/2"up to .099" Diameter. Make sure you choose the 0 degree plastic collated nails. 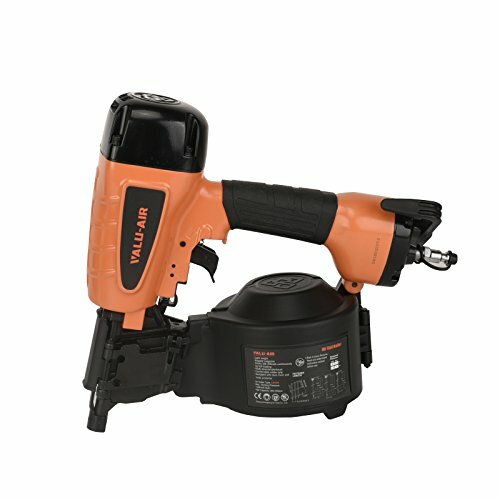 Very Reliable Nailer dsspo or 6a qcnd65 If you have any questions or doubts about what your tool requires, please contact us. We are Happy to Help our Customers! 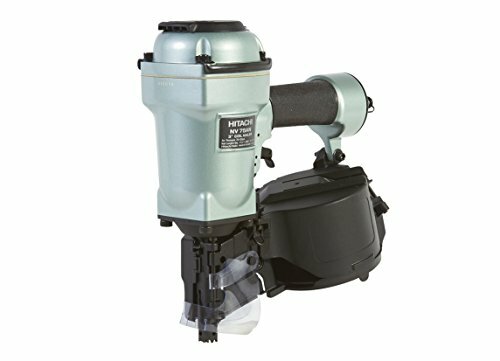 The Metabo HPT NV65AH2 Coil Siding nailer brings power, precision and convenience to the jobsite. 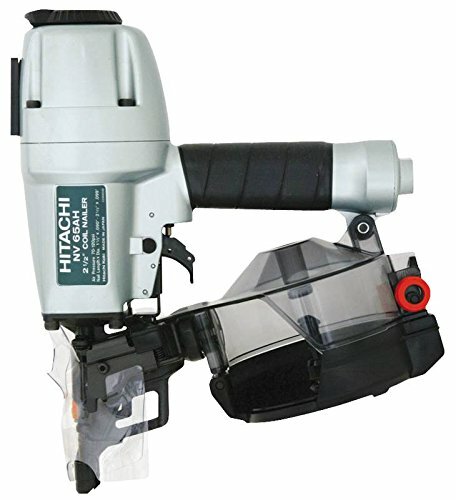 Capable of driving nails as large as 2-1/2" X .099" At a rate of 3 per second, The NV65AH2 is both powerful and efficient. 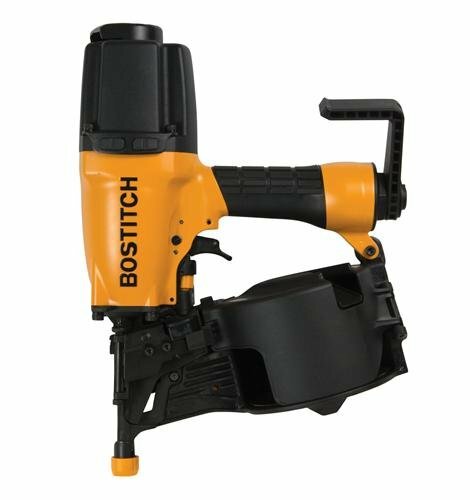 With added features like a selective actuation switch, side-load tilt bottom magazine and repositioned depth of drive adjustment dial, this professional Siding nailer gets even better. Additional features such as the adjustable Air deflector, no-mar nose cap and plastic shield add convenience, and the ability to use both wire or plastic sheet nails creates flexibility. 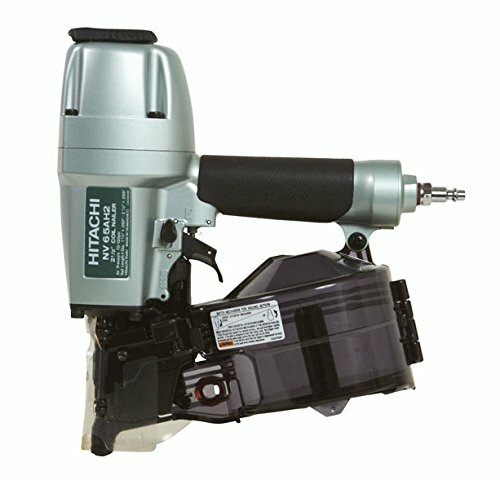 Lightweight and durable, the Hitachi NV65AH Siding Nailer is a contractor-preferred pneumatic tool with high-performance capabilities. 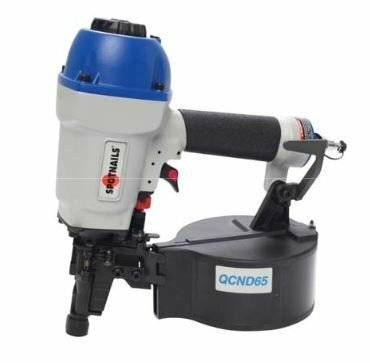 An ideal tool for siding, fencing, decking, roof sheathing, and more, the NV65AH has everything you need, including a high-capacity magazine, tool-less depth adjustment, a 360-degree exhaust diverter, and a pneumatic drive system. 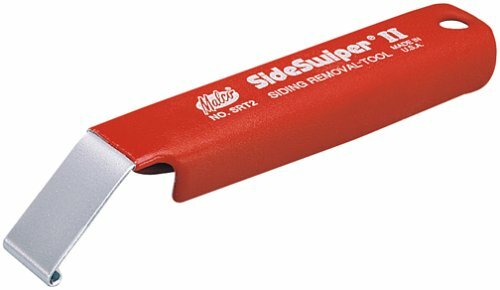 And since it's compatible with wire- or plastic-coated nails of varying sizes, the NV65H is a flexible tool that can be used for a wide variety of applications. 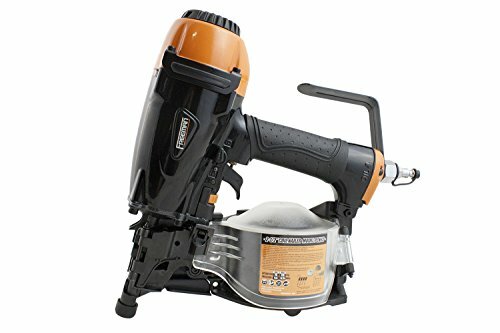 A high-capacity magazine and tool-less depth adjustment make this siding nailer top in efficiency. Added conveniences include an air deflector and the flexibility for a range of fasteners. 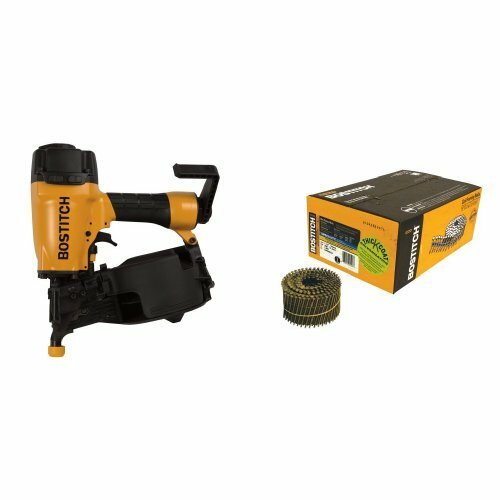 NV65AH Siding Nailer, safety glasses, and hex bar wrenches.